Will your students escape in time? Oh no! The animals have escaped their enclosures at the zoo.Your students must put them back in their proper locations before disaster strikes! Students must breakout from their risky situation, by solving a string of clues hidden around the classroom. This is a review game for the math concepts taught in 2nd grade under the domain of numbers and operations in base ten. It should be played as a whole group activity. This is an interactive game where the students are timed. Students try and solve clues and math problems to breakout and escape the classroom. You, the teacher, can decide how much time your students have to complete the task. I suggest 45 minutes, but it is up to your discretion. You can project a timer for your class, or put one somewhere for all the students to see, so they can keep track of how much time they have left to complete their task. I give step by step instructions on how to set up the game, including pictures! This is sure to capture the attention of your students, and become an instant hit! my kids loved this! perfect for a back to school activity too! So excited to use this in my classroom. Thank you so much! I purchased this after my kids loved the Pirate Review so much. My kids had a BLAST with this! Thanks, going to try this as a team building for our launch into STEM Fridays! We love escape rooms, can’t wait to try this one! This was our first escape room and my kids LOVED it, I can’t wait to try more! My students loved this! It took some time to organize, but was so worth it! It was a great way to review skills and motivate students to persist in solving problems and think outside the box. For fun, I added an additional challenge by locking up some clues in treasure chests and throwing in clues to the combination locks, but it really didn’t need it. Just print, make a few cuts, stuff envelopes and you are ready to go. I’m ready for more! I bought this to use during an upcoming School Escape Night. It was easy to follow the instructions for creation and setup and can’t wait to use it! Very excited to use this! We had a zoo field trip coming up. It helped them get excited about that. Thanks! I look forward to using this at the beginning of the year. If all goes well, I will be getting the end of the year Escape Room, as well! I am so excited for my students! Thank you! My class has enjoyed your Cracking the Classroom Codes this year. We’ve done several of them. My kids were so excited because we recently went on a field trip to the zoo. I love this activity and will be planning to do more in the following years. Both my students and I loved this challenge. It was the first time we tried it and I loved how it required the kids to collaborate, use what they’ve learned and take their time to understand what to do before moving on to the next step. I definitely will be purchasing additional challenges for next year. My students love these games! They loved this! Awesome review activity! My students did this activity a few days after the geometry one. The answers didn’t come as quickly, but they used a growth mindset! Thank you! Thank you! I enjoyed using this resource to review these skills with my students. bought this for an end of school activity… can’t wait to use! I am so excited to use this! We have a zoo field trip planned next week (it’s been cancelled twice due to rain) so my kiddos are going to play this “crack the code” to get us in the zoo mindset! I already know I love this activity and it will be a hit in my classroom. I’m actually about to purchase an ELA version to play too! Set up was a little tedious but once you do the first one, it’s easy. Absolutely love this and will be doing several as we review for end of year!! What an incredible resource! My students were so excited to do this activity. I gave my 2nd graders 45 minutes to complete the activity, and they finished with 1 minute and 47 seconds left. So fun! Used during my 102 at the zoo day for math! Super fun! My class loved this! Thank you! This was great! My HSP class loved it! Great product! I can’t wait to use this in my classroom! 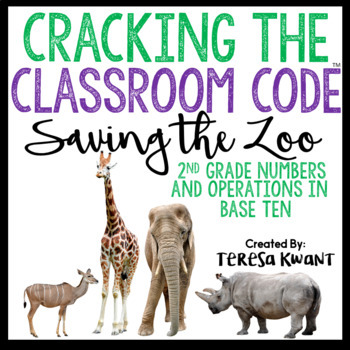 I am so excited about your Cracking the Classroom Code products. Our school just had PD on creating Breakout/Escape Rooms. I am working on one for our School-wide Science Night and hope to use some in my class. I teach kindergarten, so would love to see more kindergarten options! SO excited to try this with my class! An adventure we all enjoyed! This was a great resource to use the first week of third grade to review math and introduce them to the escape games. Thanks! This was my first escape room, my kids loved this so much. Thank you! Easy to use! A great resource to introduce my next math unit! These were a hit in my class! 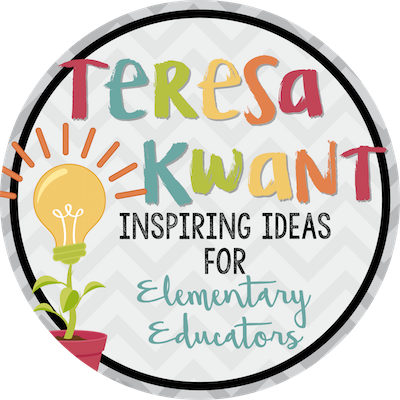 I know this will be fun and engaging for my students, thanks for sharing! This is soo amazing! I cannot wait for more! Well thought out escape room task. My students were very engaged. My students couldn’t wait to do another one! Can’t wait to use this in my classroom! So excited! My students will love this!! Thank you! It’s my first year teaching and I can’t WAIT to use this in my second grade class! Thank you! My students are going to go crazy over this! Thank you for creating and sharing. Looking forward to using this next year! can’t wait to use this! !